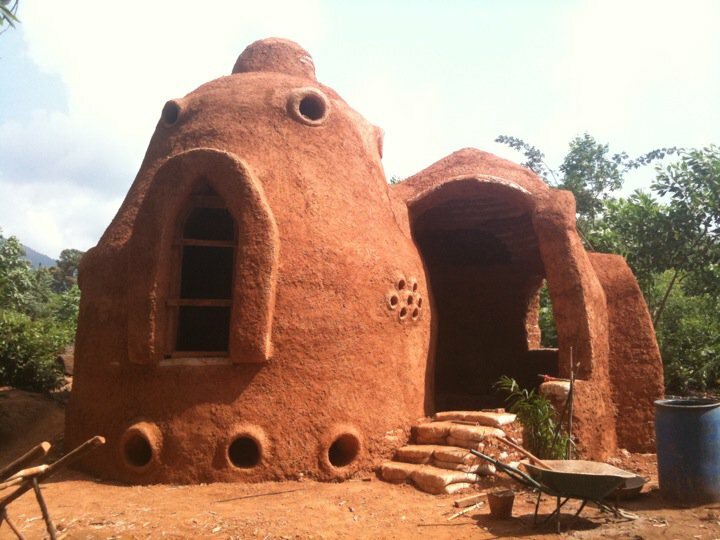 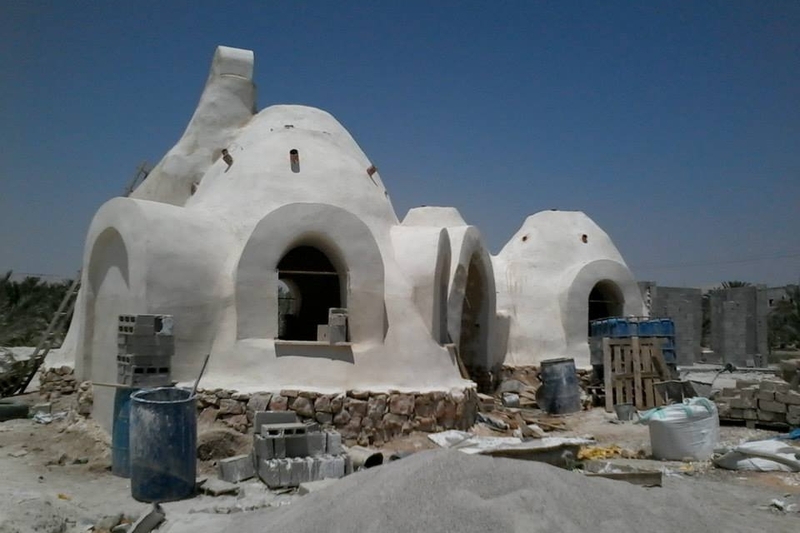 The images below represent a small sample of the SuperAdobe projects worldwide built by CalEarth alumni or using CalEarth technology and designs. 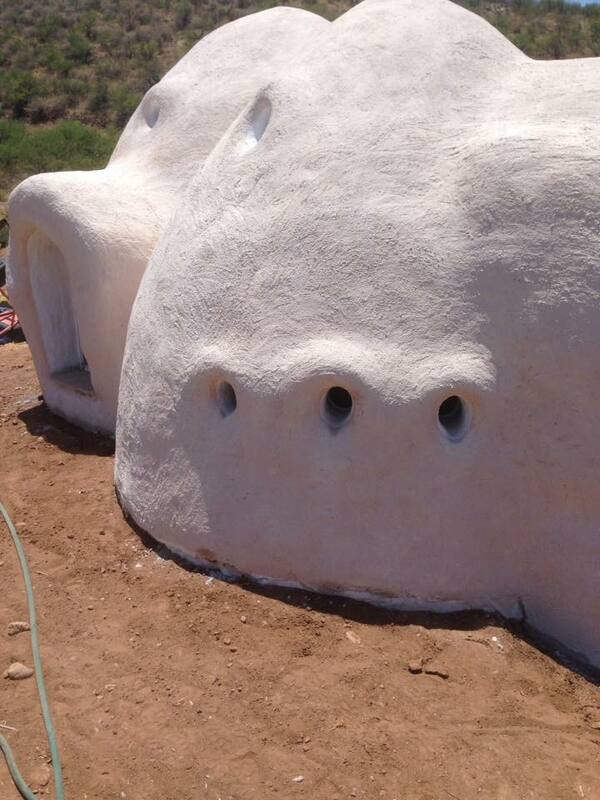 SuperAdobe domes and vaults have been built in at least 49 countries on 6 continents and the list continues to grow. 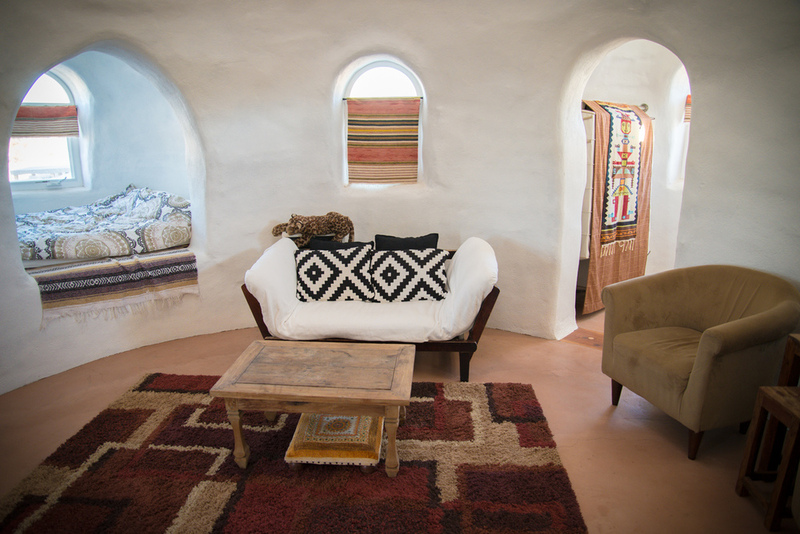 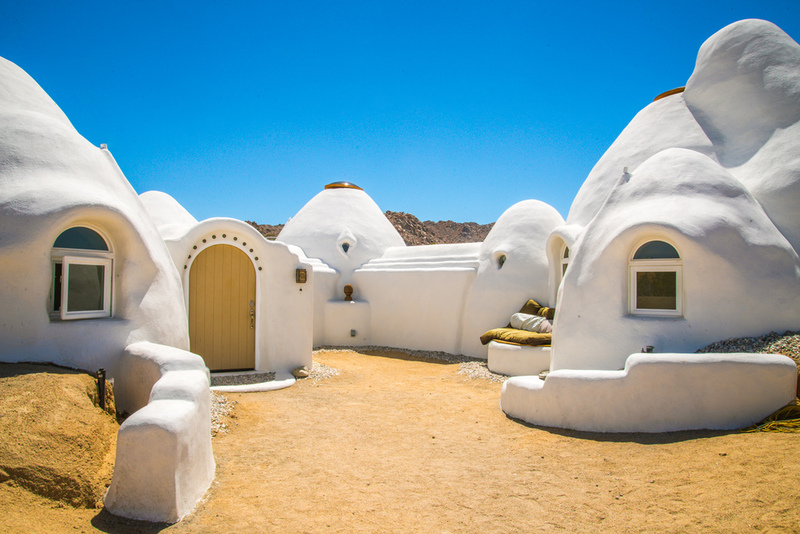 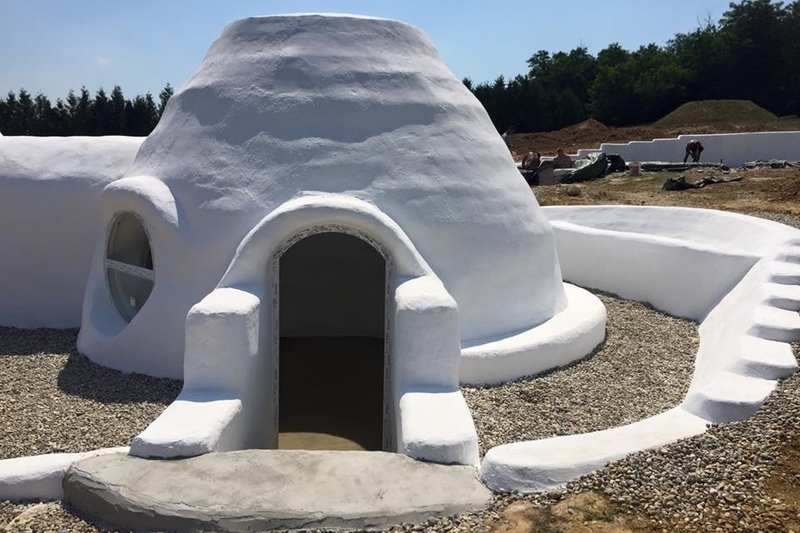 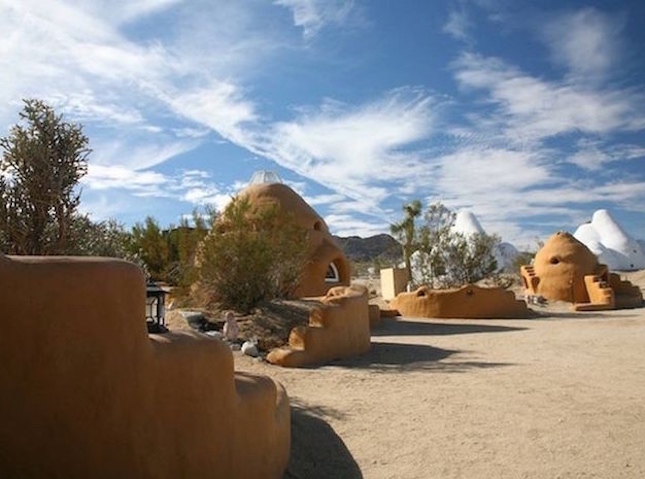 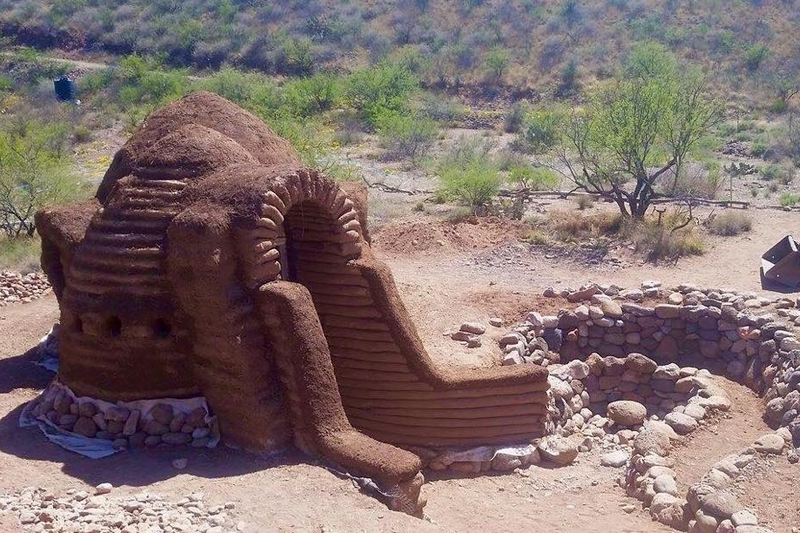 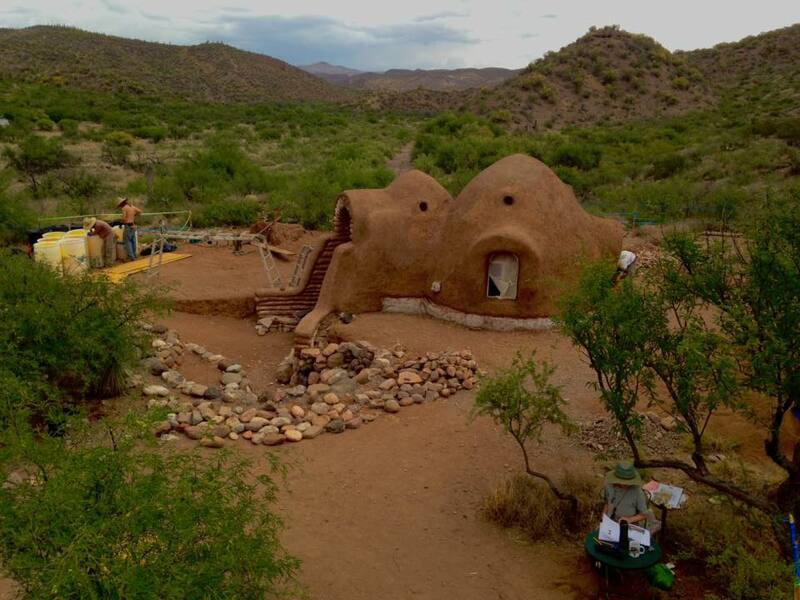 These projects range from backyard landscaping to eco-resorts and everything in between, showing the range of what can be done using SuperAdobe. 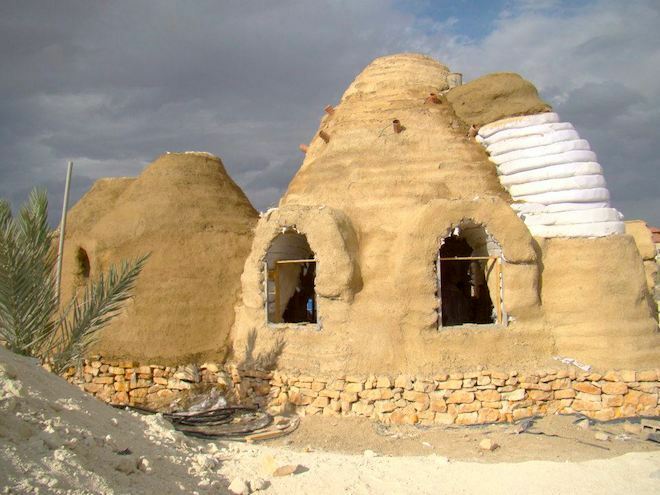 Junoot, Oman Collaboration between Cal-Earth (led by alumni Hooman Fazly), URC, and SSH. 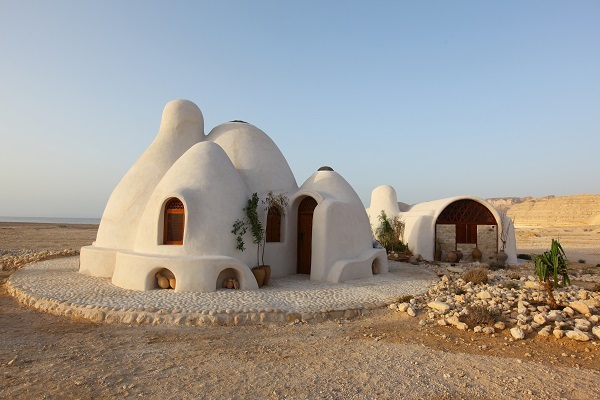 Awarded the World Architecture Award in 2012. 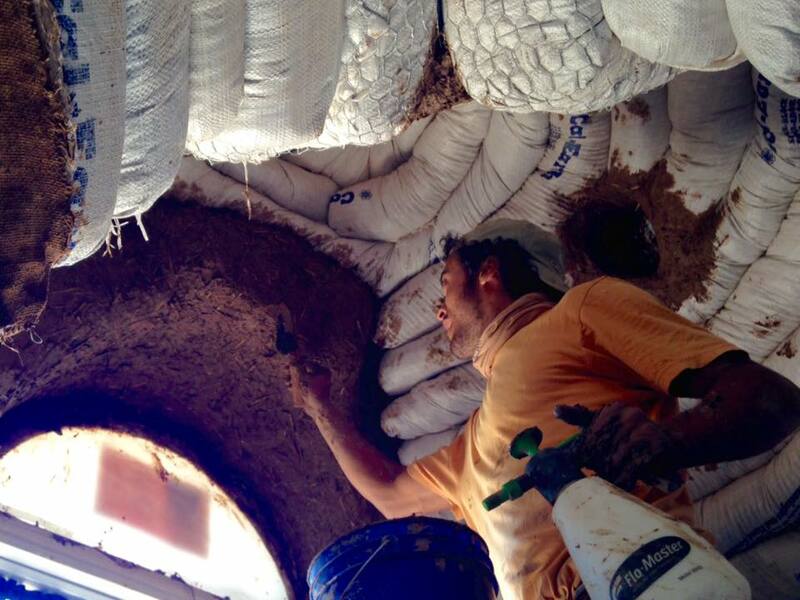 Built by alumni Alejandro Lopezy who now teaches and builds throughout Costa Rica through his organization GeoBunker. 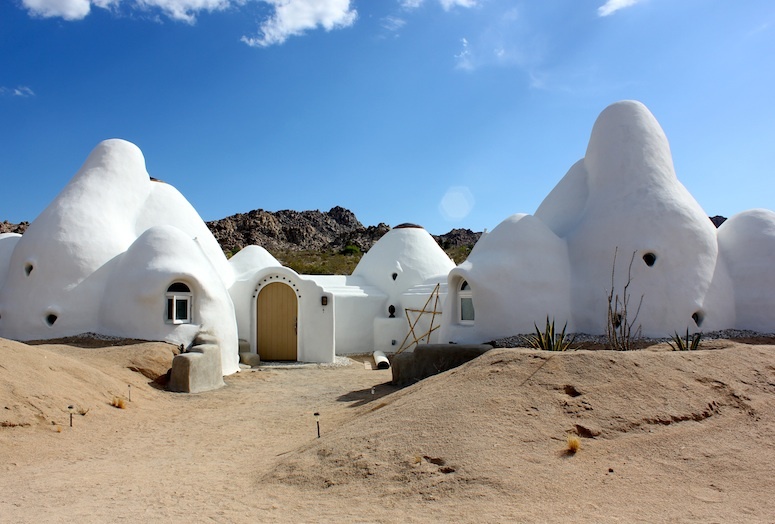 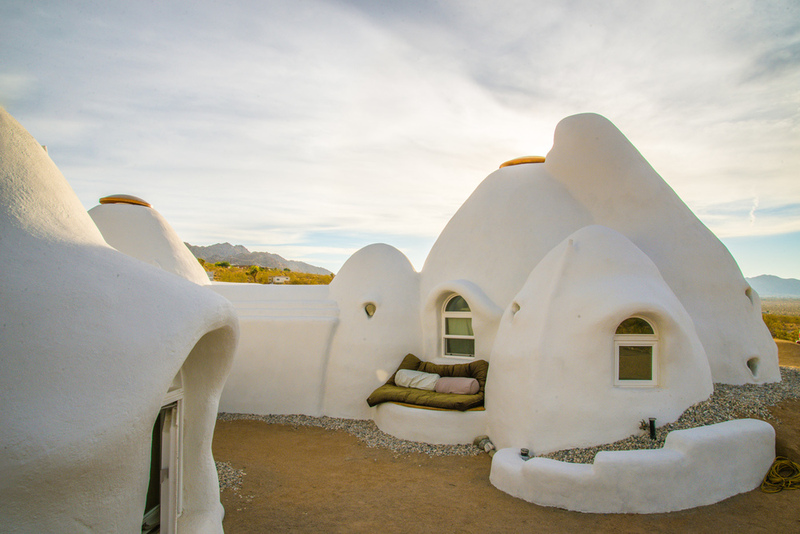 The Saguaro Dome project in Arizona is a private residence built by a group of alumni including Brandon Evans, Alex Truman, Nathan Wright, and Wade Lucas. 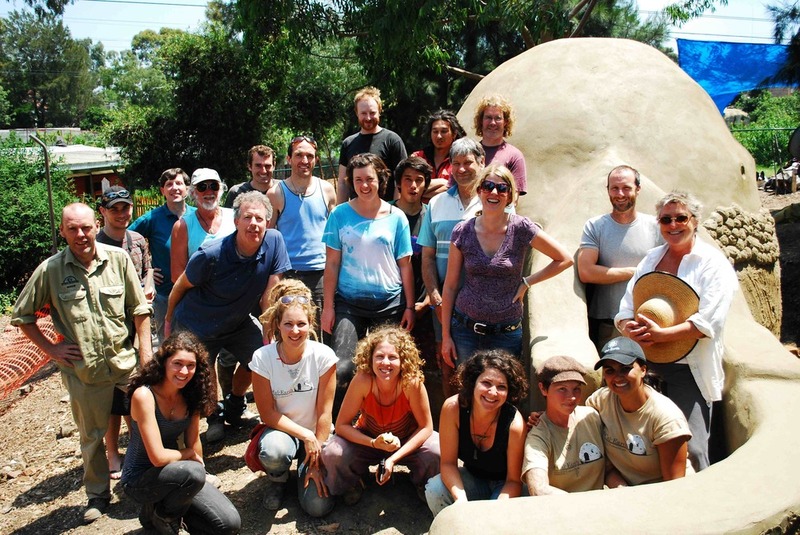 Children's play structure built in 2010 at Ceres Environmental research park in Melbourne by two CalEarth workshop groups (led by alumni Mystee Unwin). 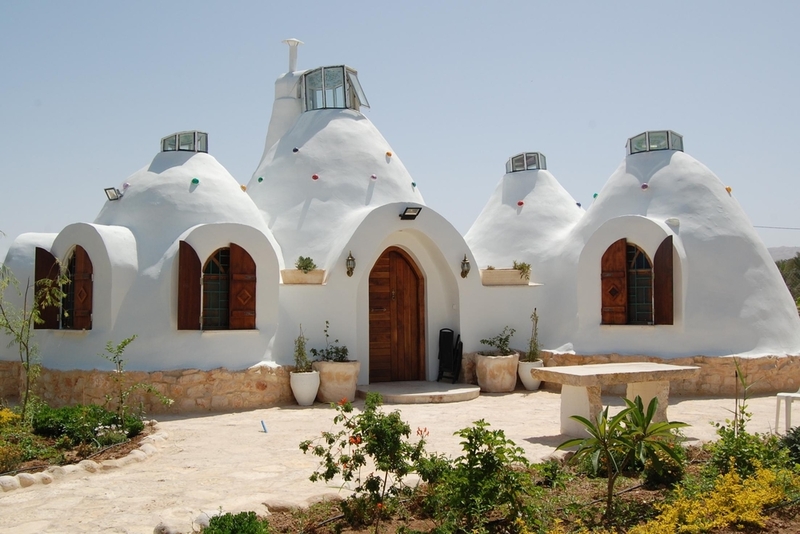 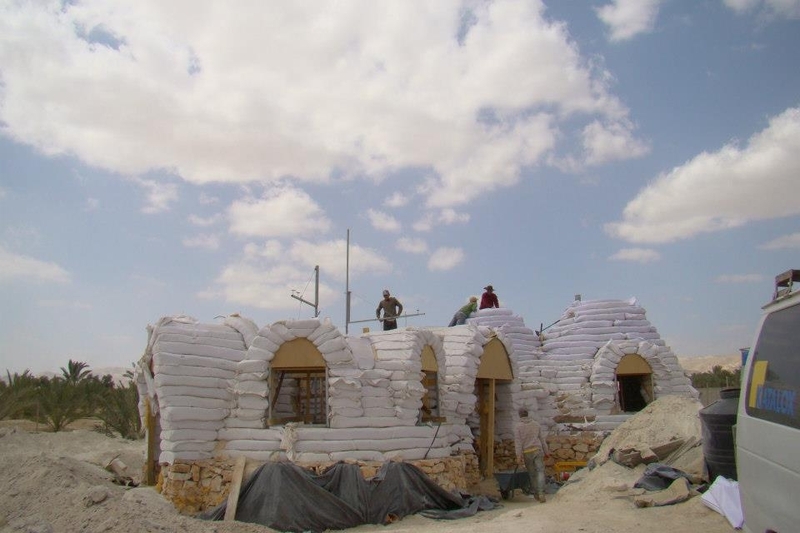 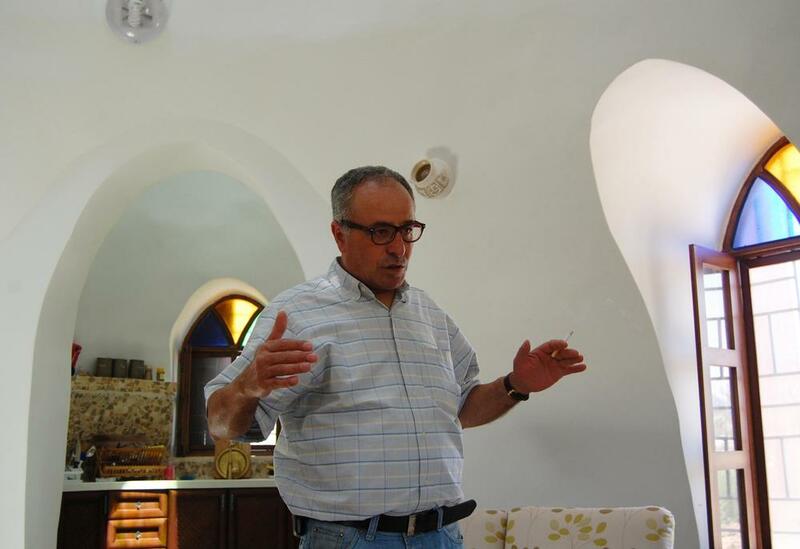 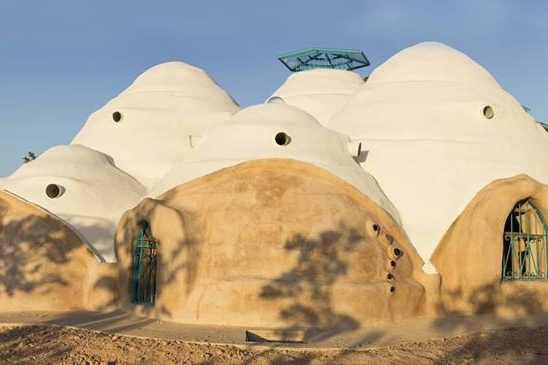 Built in Jericho by a group of Palestinian architects from the firm ShamsArd, this structure was featured in a story on NPR. 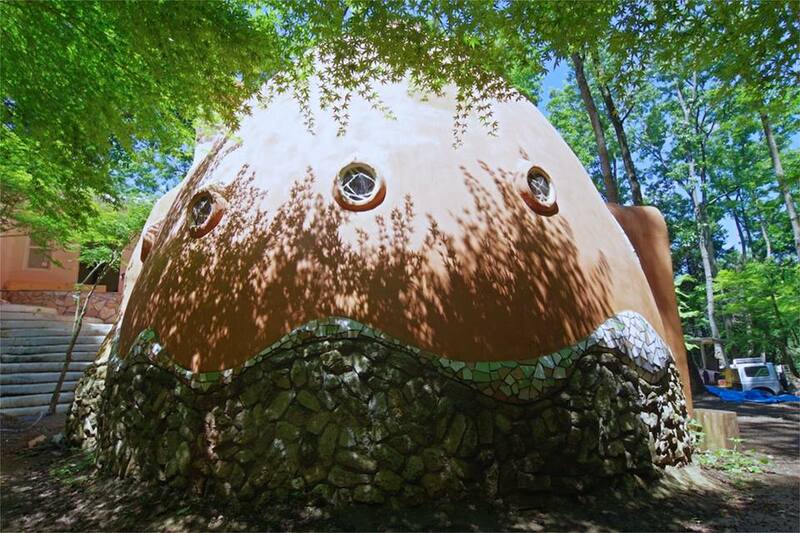 Private residence built by alumni Wilhelm Loderer in Nagyrécse, Hungary. 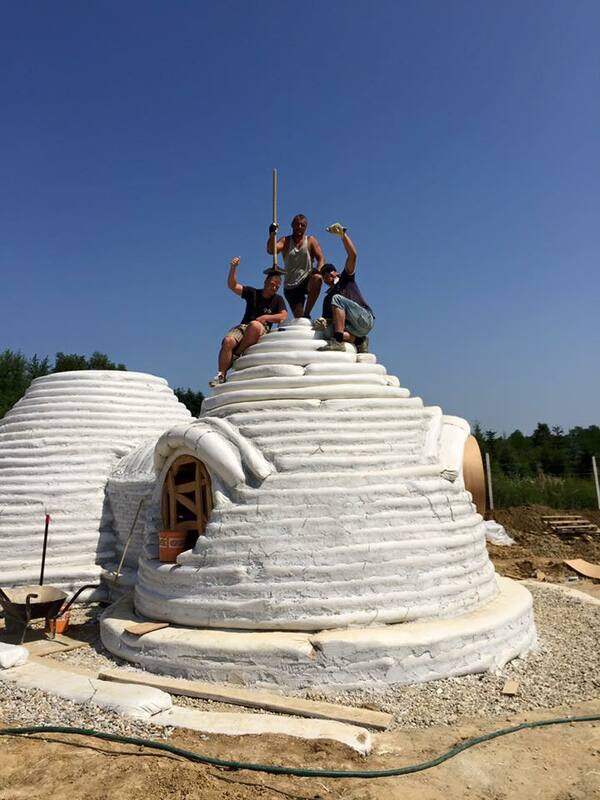 Finished in 29 days with a crew of 6 people. 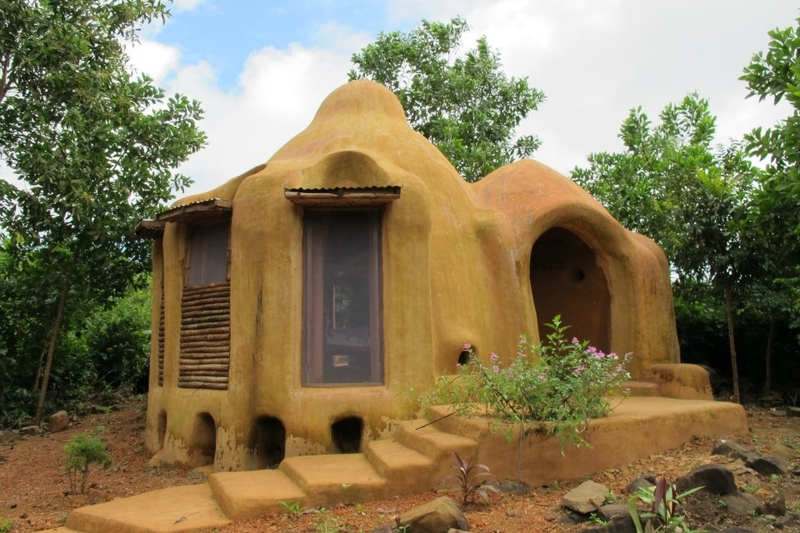 Includes an earthen floor and lime finish. 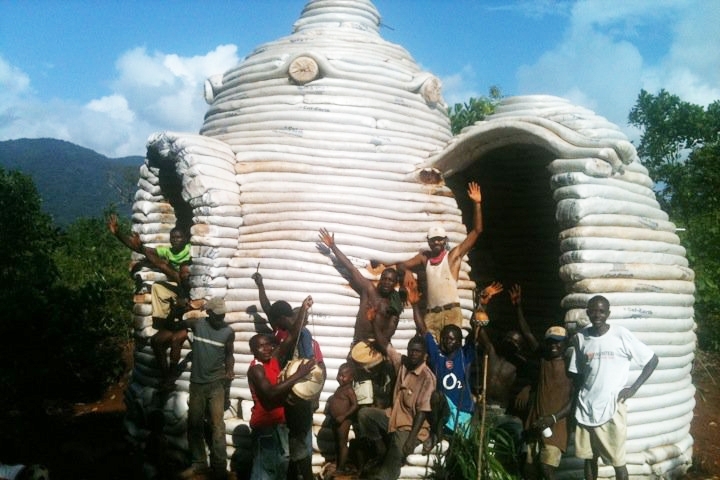 Collaboration between Cal-Earth (led by alumni Hooman Fazly) and Tribe Wanted Sierra Leone, located on John Obey Beach. 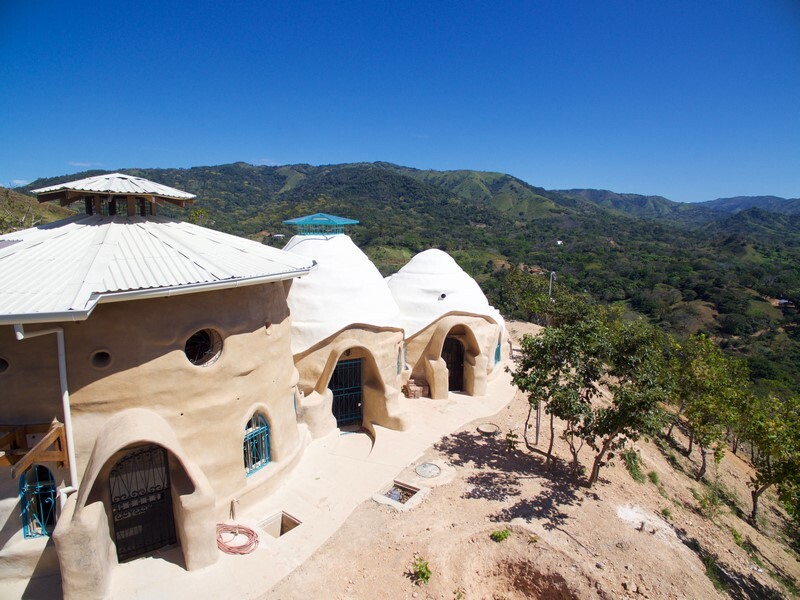 Casa Quetzacotl in Turrubares, Costa Rica was built by a team led by alumni Ayal Bryant and the group Barro Viva Costa Rica. 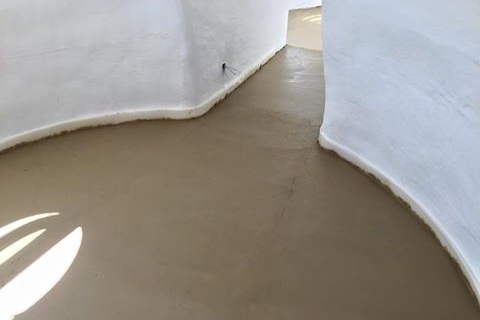 This 1800 sq. 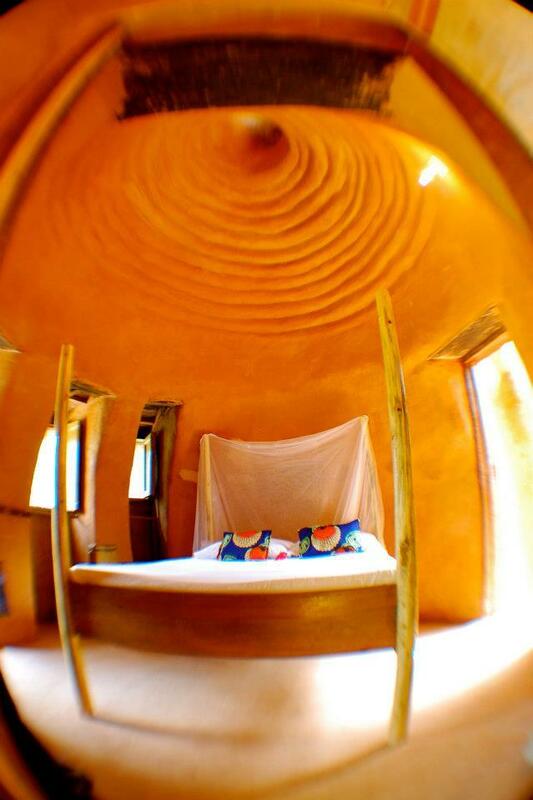 ft home (170 sq. 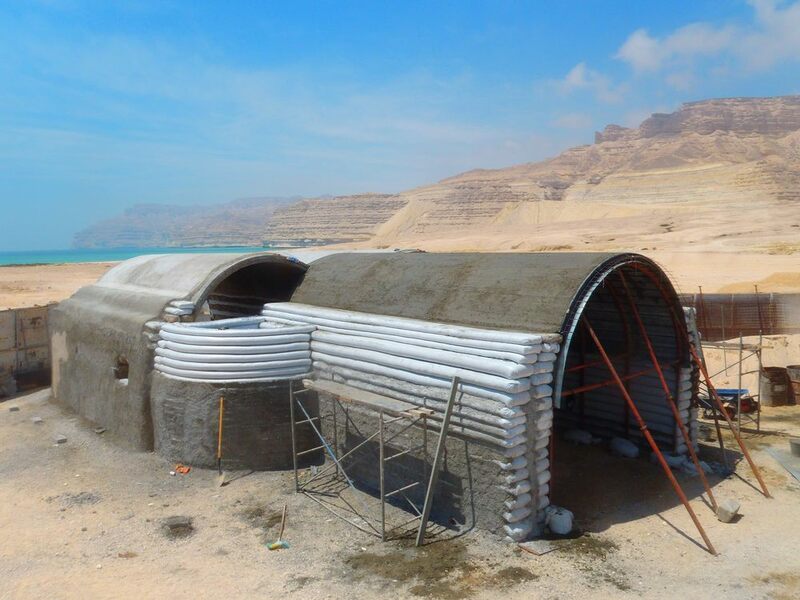 meters) was built in 10 months with a crew of 6 people includes 2 bedrooms and 2.5 bathrooms as well as a rain collection system with capacity for 10,000 liters (2640 gallons). 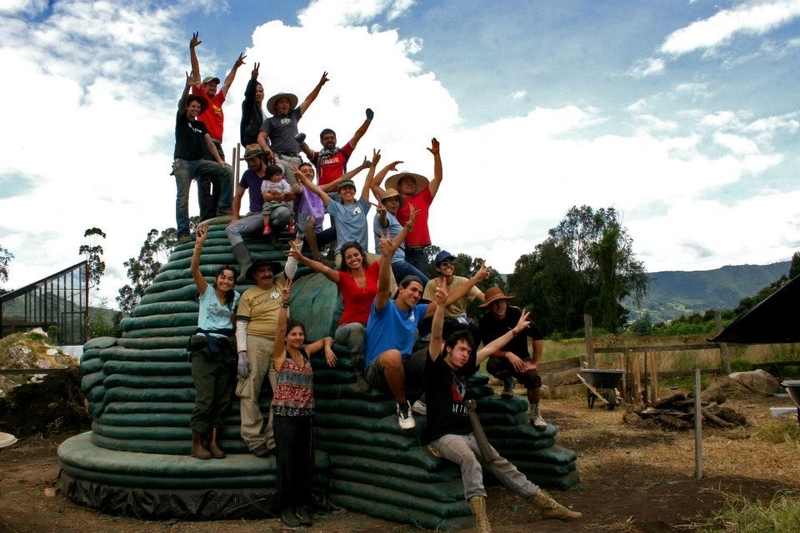 Alumna Ana Maria Gutierrez and the group Organizmo have held multiple joined workshops and programs at their institute since 2010. 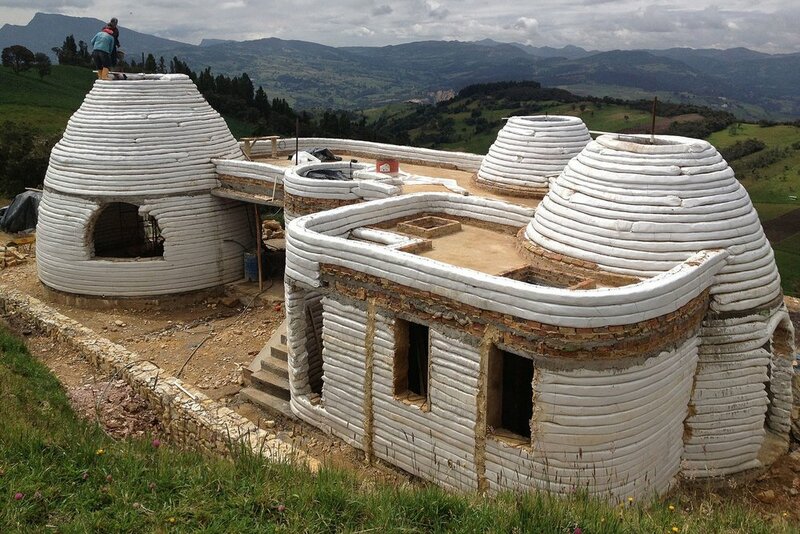 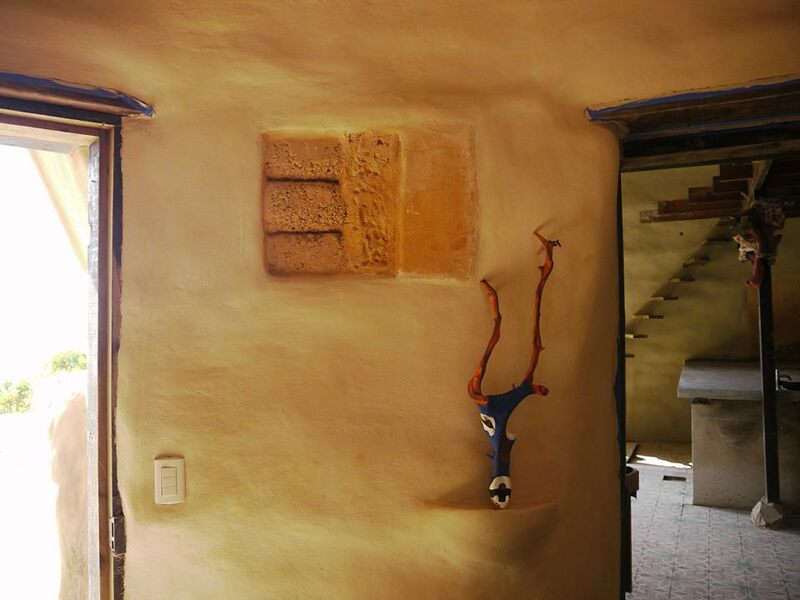 Casa Antakarana built and designed by architect Jose Andres Vallejo who trained at a CalEarth workshop at Organizmo in Colombia. 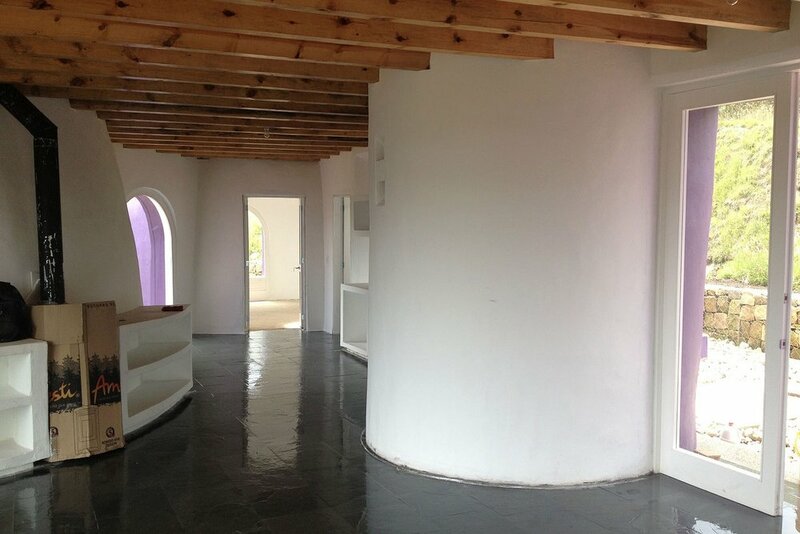 Private residence built by alumni and current site Director Ian Lodge. 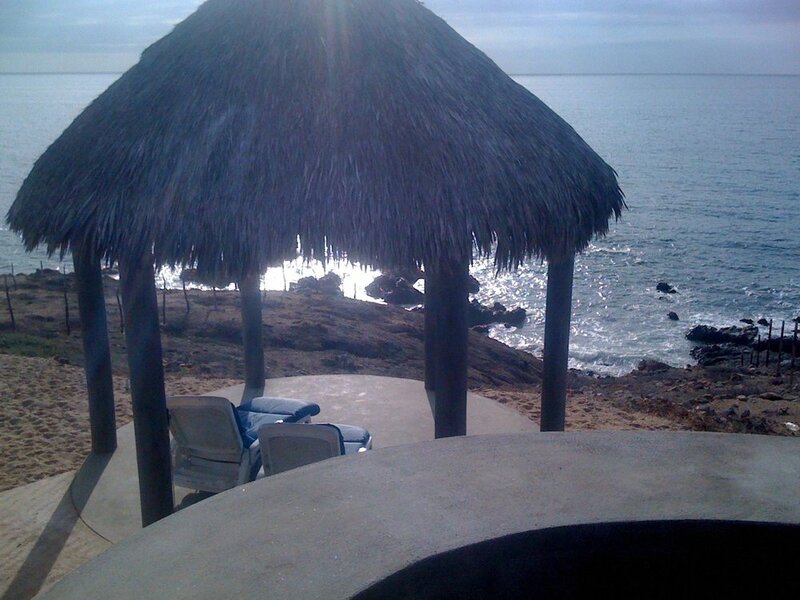 This home sits on a hill overlooking the Pacific Ocean in Baja, California Sur. 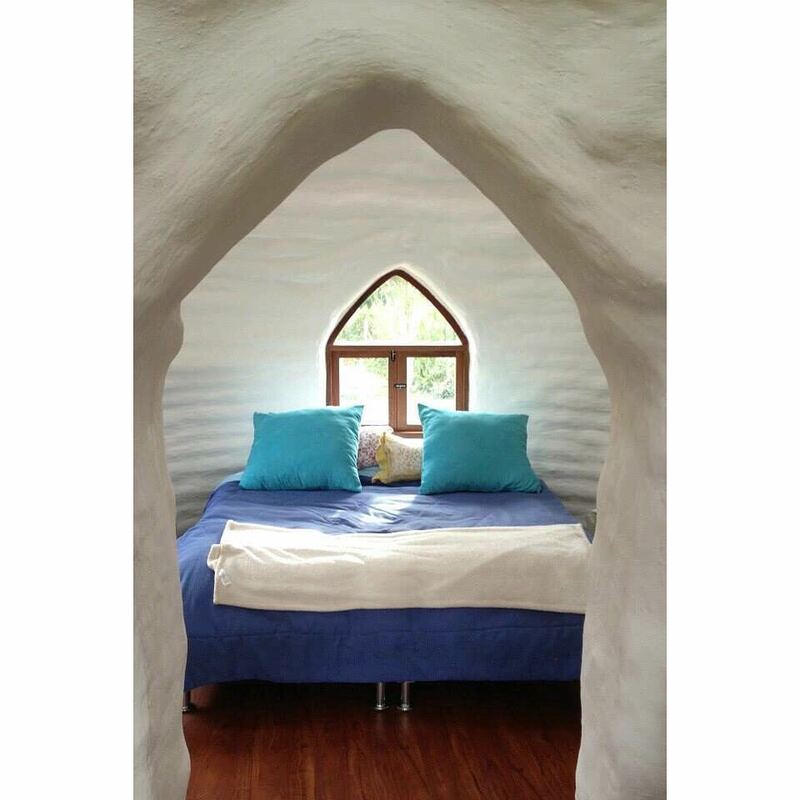 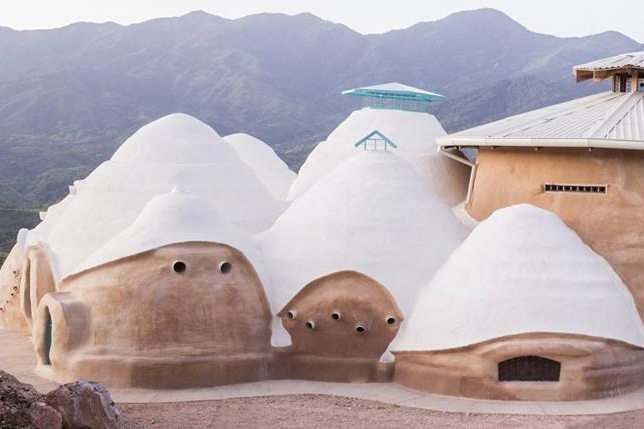 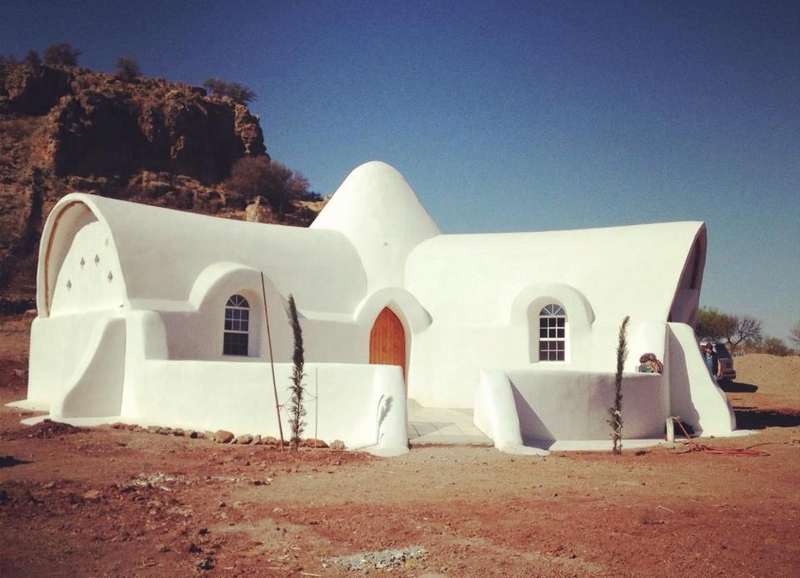 Santa Isabel Ecovillage in Chihuahua, Mexico built by alumni Ramon Quintana. 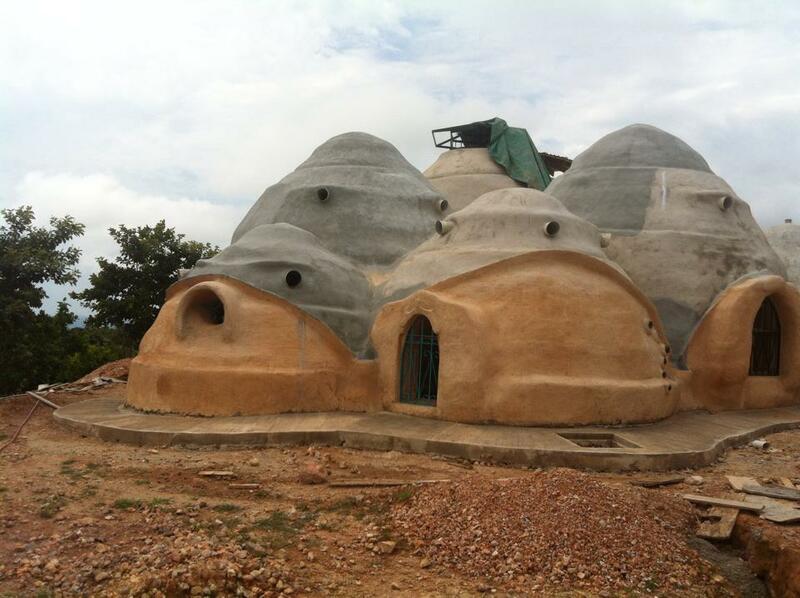 Includes multiple interconnected domes and vaults. 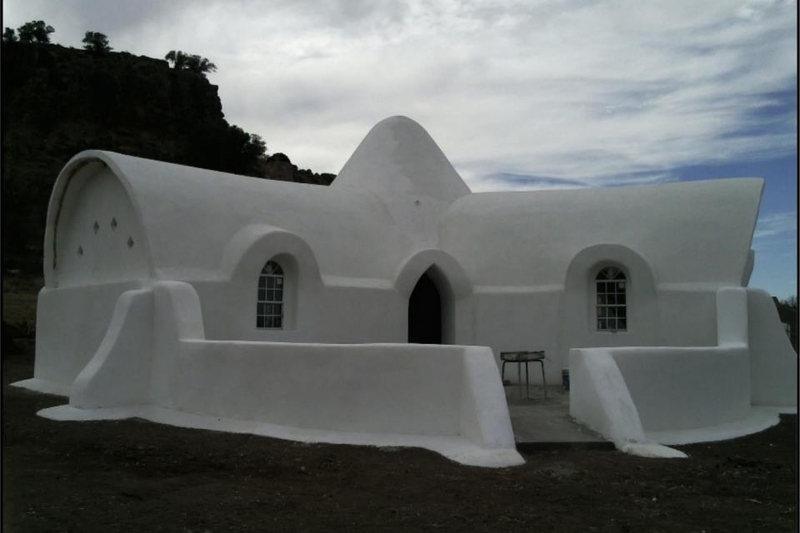 Residence built by alumni Gadea Garcia and François Eyta. 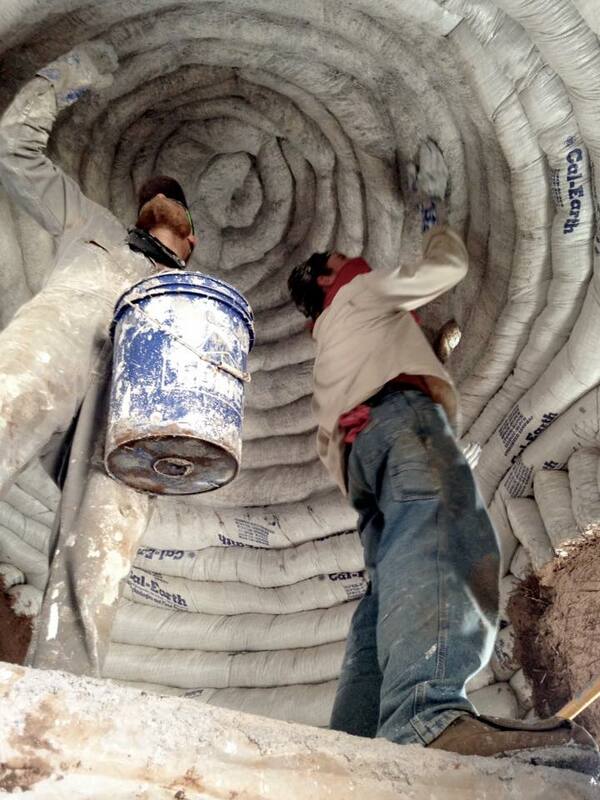 Private residence in Montreal, Quebec built by alumni Florent Moisant and Laura Smith. 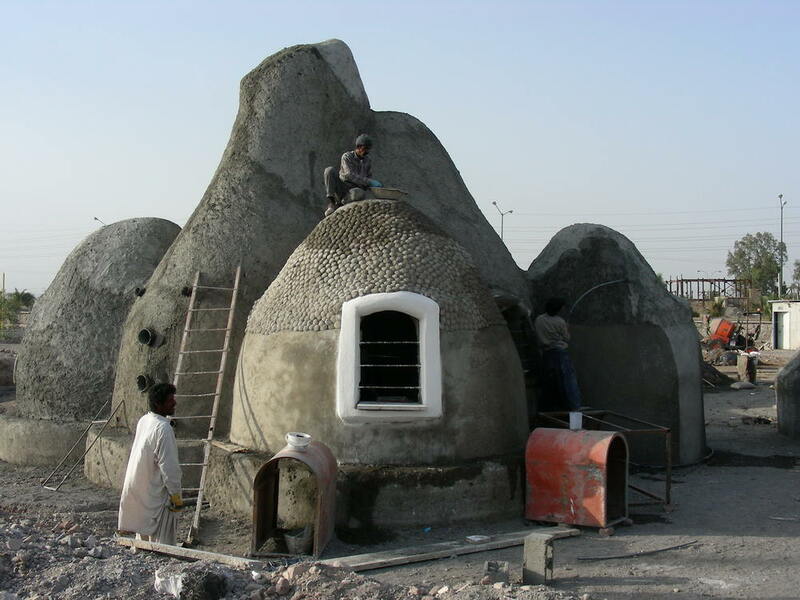 Private residence built in Bam, Iran after the 2005 earthquake. 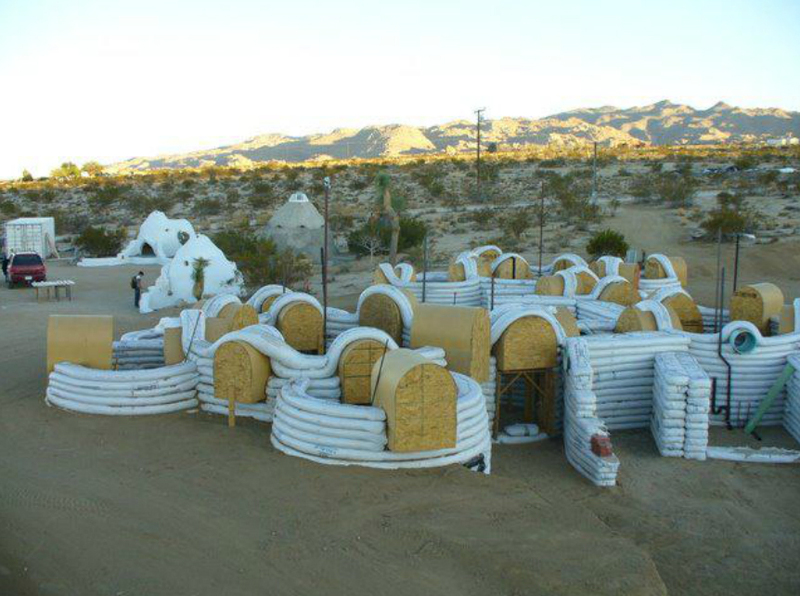 Gathering space at Aquarius Ranch near Barstow, CA. 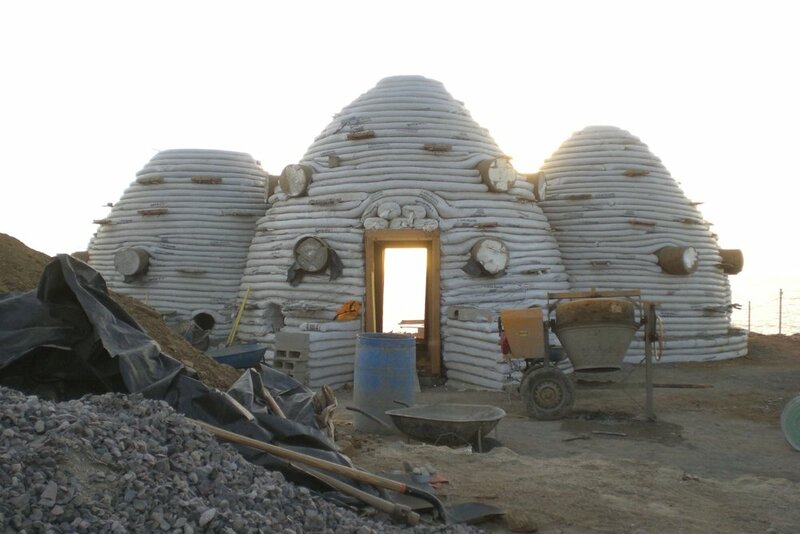 Built by alumni Heather Carragher, Ashley Wieczorek, and Aaron Musicant.